I definitely had a preconceived notion of what a stay in Boca would be like. Talking to fellow New Englanders, I was assured that I was correct; my kids and I were headed for a beautiful spot on the Atlantic shore of Florida and would be sharing it with a happy group of New England retirees. I can definitively report that we were all wrong. 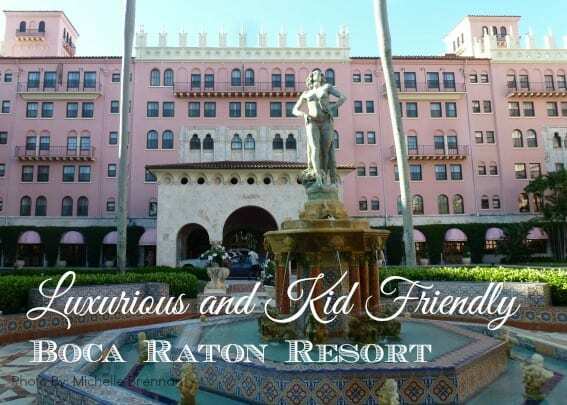 The Boca Raton Resort-A Waldorf Astoria Hotel offers a slice of luxurious resort living for all ages, but especially for kids and families. Upon entering the beautiful pink resort, our senses were immediately entranced by the feelings of luxurious resort life. The reception area offered a breezy check-in with super-efficient and friendly bell-staff. 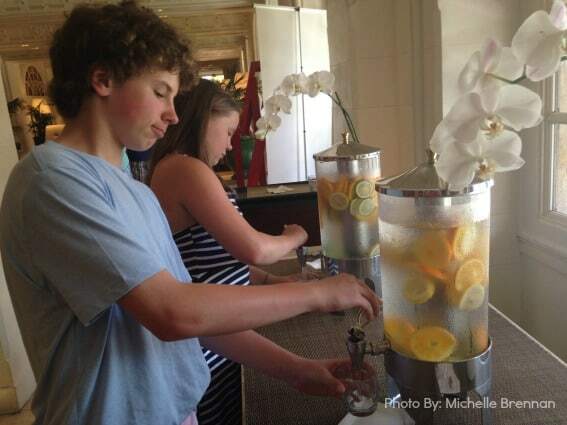 We quickly quenched our thirst with the lemon orange infused water offered in the lobby area and were happy to discover that water dispensers infused with fruit like watermelon and pineapple were dotted all about the property. Being that someone had turned the summer heat up for us, we welcomed this cool treat many times throughout the day. We were ready for a few days of luxurious resort living. The valet staff was ready to indulge our life of luxury with a special surprise. Instead of taking a shuttle to tour the resort compound consisting of three separate areas, we were offered a lift in the ‘house’ Maserati. 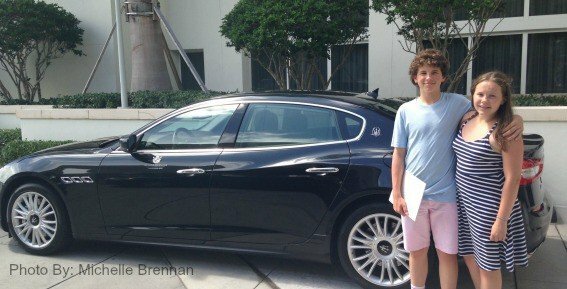 I am sure the valet was looking for an opportunity to get that engine purring, but I know my 13-year-old son loved every minute of this special treat. The Boca Raton Resort consists of several different buildings and room types. We were happily ensconced in the Cloister which is the original part of the estate. These rooms at the resort have recently undergone a 30 million dollar update and $100,000 was spent on each of the Cloister rooms in the pink palace. We loved the airy and spacious feel of the sleeping area and the updated bathroom. We spent the majority of our time at the Cloister which is also home to the marina where several unbelievable yachts are moored. I caught my son trying to sneak a peek into one of them on several occasions while we were on our nightly walk. We also enjoyed time at the Boca Beach Resort. The Beach Resort in contrast is ultra-modern with several pools and, of course, access to the beach. The views were breath-taking. 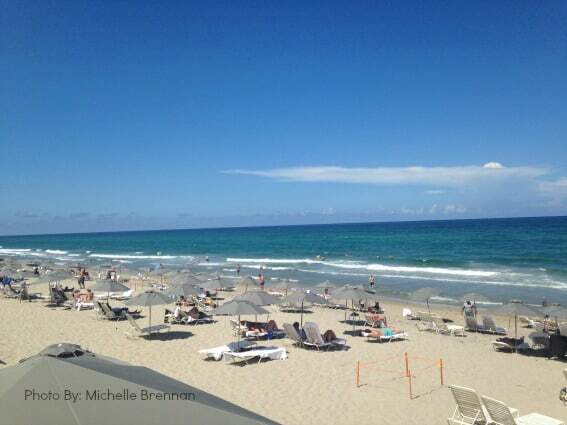 Explore South Florida luxury resorts. While the resorts are in a word “fancy,” this should not preclude any notion of bringing your family with even the smallest of children. There were plenty of little ones enjoying the pools and beaches at the resort. We even spied a family outside of Serendipity 3, the NYC bastion, enjoying the sculptures adorning the lobby area. 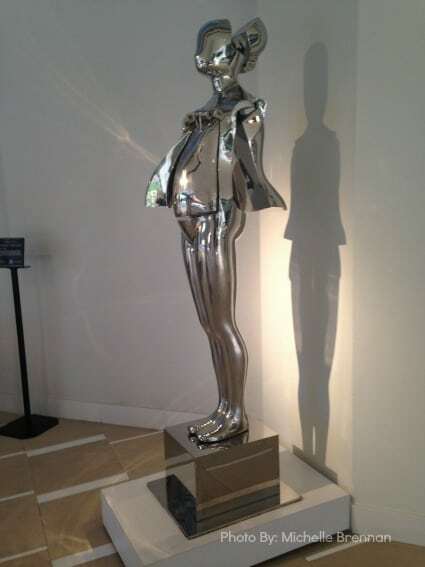 There are rotating sculptures found throughout the property and a self-guided tour can help you learn about them along the way. The pool at the Cloister was calling out to my children soon after we checked into our room. There were several families splashing around the pool as the sun was getting ready to drop out of the sky for the night. 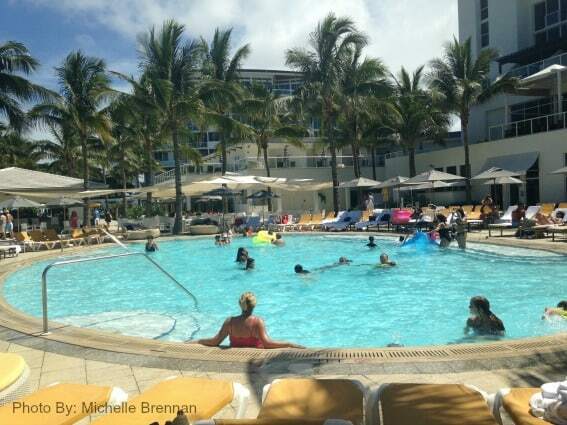 However, pool attendants were still on hand and graciously set up my lounge chair with fluffy towels. I settled in to watch my kids frolic in the water and even got to read a bit of my book. To me that was true luxury! We often returned here for a relaxing pre-bed night swim. At the Beach Club area there are three pools to accommodate guests. There is an adult-only pool where we spied some of those aforementioned retirees doing a water aerobics class, but there is also a family pool where kids floated in inflatables, tossed balls to each other, and practiced snorkeling. Yet another has a zero entry pool with a 3 foot depth for the smallest of kids. The private beach access is located at the Beach Club. Only hotel guests have access to this ½ mile stretch of sugary sand beach. Walkways from the pools are gated to prevent any child from wandering away and there are lifeguards perched atop their chairs with eagle eyes on the surf. Beach attendants again set up our chairs and provided us with an umbrella to give us respite from the hot Florida sun. 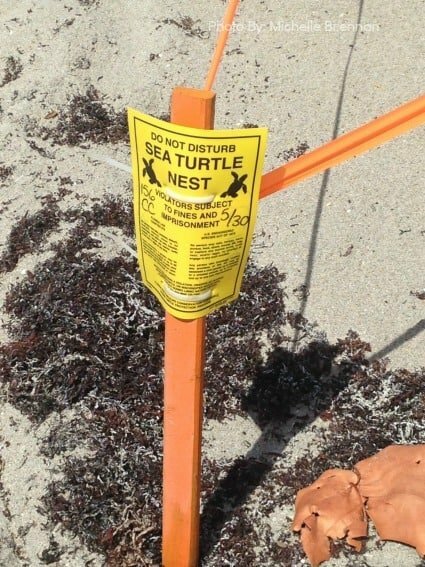 The beach is dotted with cordoned off areas where turtles have laid eggs. It must be quite an experience to see those eggs hatch and watch the little turtles scurry into the water. 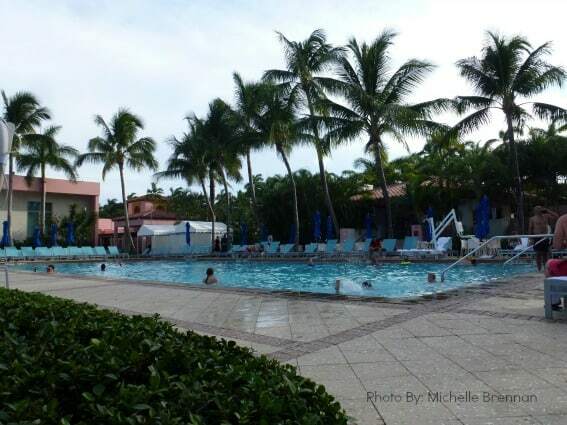 The Boca Raton Resort keeps families as busy as they want to be. As our usual vacation calls for an all-out jam-packed itinerary of action and movement, we opted for the low-key approach at this luxury resort. Be that as it may, we were still able to fit in some super fun activities. 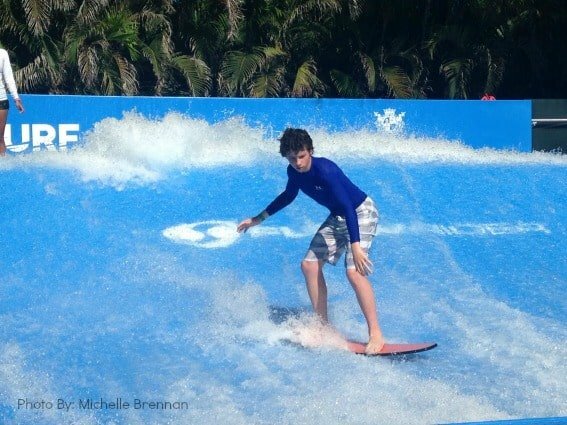 The kids signed up for a day of fun at the Flowrider located at the Cloister resort. The Flowrider is a surf simulator. 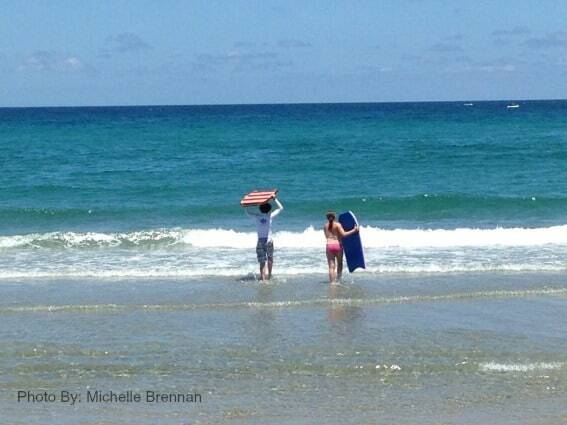 They tried their hands at surfing and body boarding while the water pushed them back. They caught on pretty quickly and spent several hours perfecting their craft. We spied several experts that my kids eyed enviously and I wondered how many times these surfers had been on the Flowrider. 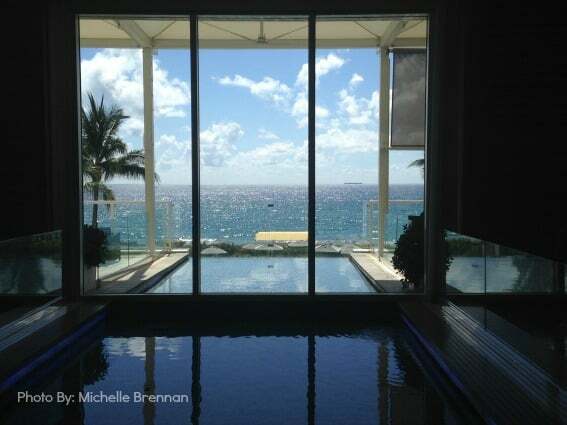 While my kids tried to improve their abilities, I was able to sneak away for some spa time at the Waldorf Astoria Spa. The spa was marvelous; the décor and attentiveness was otherworldly. I came back to the kids on the Flowrider as a newly refreshed woman! 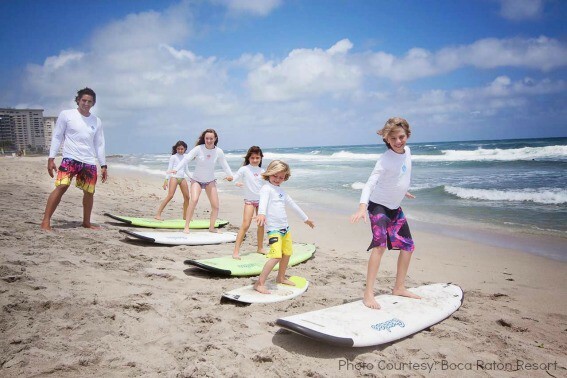 There are also surf lessons courtesy Surf Boca located on the beach at the Beach Club. Since there were minimal waves for surfing on our scheduled day, surfing was not possible. However, we made up for it by renting boogie boards and riding the waves another way. Stand-up paddleboards, skim boards, kayaks, and wave runners are also available through the surf shop. I think we will need to go back to check out those surf lessons! When our day of fun in the sun was complete, we looked for other activities to keep us busy. 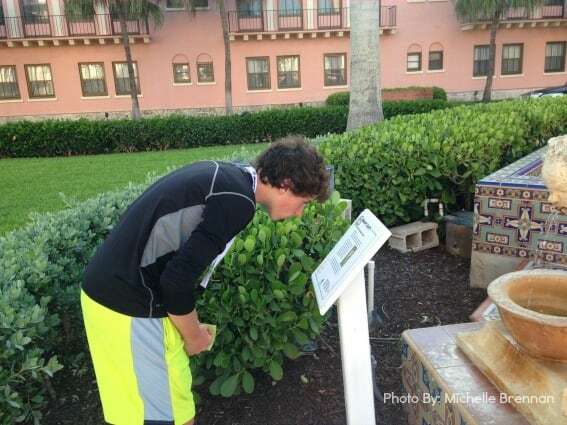 Mizner’s Quest is a scavenger type hunt with clues to lead you from one station to the next with a built in history lesson. We had fun doing the quest as we took part in our own lizard hunt each night. Those familiar with my daughter know she is not satisfied with any trip to Florida unless she catches a prize lizard. The resort also offers a Mizner’s Quest Club. 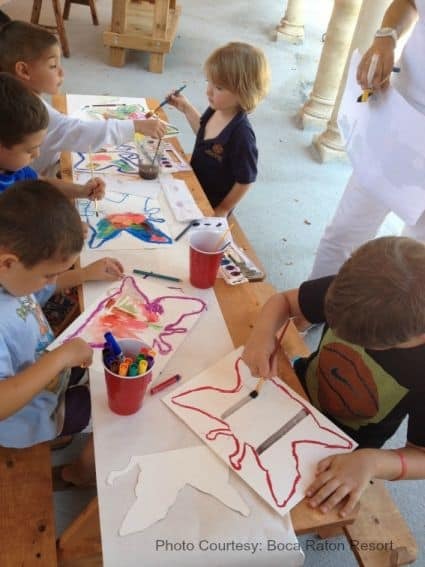 This club is a supervised day camp for resort guests and members and provides camp activities like tie dying, kite flying, sports, and water fun. Additionally, there is golf and tennis clinics to keep the kids active. After all of that activity to make the kids tired, a onsite Dr. Suess-inspired library will provide just the right bedtime story after they finish their chocolate turn down snack! We certainly were not left wanting for great food at the Boca Raton Resort. Whether we wanted to eat causally in our chairs by the pool, grab a quick bite at Serendipity 3, enjoy the waves from a spot at the pool restaurant, or eat a special meal at The Blue 27 stories up in the tower at the Cloisters; we had so many options from which to choose. I think we tried them all! The Blue was by far the grandest of the restaurants we encountered at the resort. 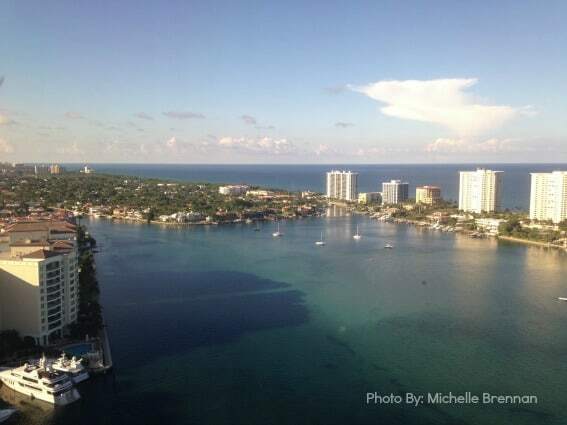 The views from 27 stories were picture perfect. We watched as the sun set and the water flashed sparkles on the houses below. The food was just as flawless. The Blue specializes in contemporary dishes with an emphasis on fresh seafood. It seemed that my shrimp cocktail and my daughter’s mussels disappeared in seconds! Some of the restaurants blend in seamlessly with the surroundings to the point that they do not seem like dining areas at all. The Palm Court at the Cloister serves a bountiful buffet breakfast, but also light fare at others times during the day. Likewise at Serendipity 3, although the food is basically self-service, the attached common room has several cozy areas to snack, watch television, or grab a newspaper, all surrounding a beautiful indoor fountain. All of this luxury might sound as though it is out of the price range for the average family. However, a visit during the shoulder or off seasons brings the cost of the resort out of uber ranges and into the family travel range. It was a great end of school year trip for my two middle schoolers and I know they would return in a Boca Raton minute! 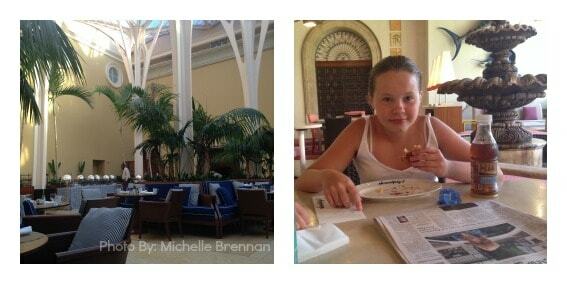 Disclosure: My children and I were provided a complementary stay, activities and meals at the Boca Raton Resort. I was not asked to provide a specific review and all opinions are my own.